Glass crafters often find that they need to drill holes in glass to complete their project. 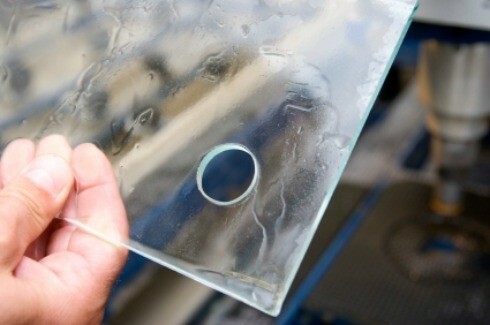 This is a guide about drilling holes in glass. How do I make a slot in the top of a glass block to make a bank. And how do you smooth the edges after drilling? You have to use the right rpm range, there should be something on the side of your drill listing the rpm. Gradually increase speed and slowly decrease. Use a carbide bit especially for glass. Tape a small piece of cardboard to the glass block so it doesn't slip. Place light pressure on the drill. Can someone tell me of a tool that will make a hole in a glass jar for wiring a light? The drill bit tools don't work. Or can I buy jars with a hole in them already? Please help. If you go to a community college in your area that teaches stained glass, the instructor can help you drill a hole in glass for a minimal fee. They have the tools and know how on this subject. Otherwise, look for stained glass cutting tools on the 'net for hole drilling. Buying the tool will be more costly. You might also try a glass company in your area. They work with glass and may have the tools you need. You need a diamond drill bit. There are several sizes, just depends on what you are going to put through the hole. I make night lights with very small wine bottles, drill a hold about 1/2 inch from the bottom of the glass on one side and then stuff a 25 light string in the bottle. They burn very cool and I never turn them off. The LED lights may even be better, just can't find a small enough string for my needs. Good luck! You can purchase glass drills. They have a rounded point. I dipped mine in oil and went slowly. Careful not to break through as that will crack your glass. Check the web to see what they look like. You may have to purchase them there also. I have a glass jar with wire handle. Make sure it is heavy enough to hold had and anything inside. Wrap wire around jar neck (just under threads) and make a bail handle on it. Try Home Depot or Lowe's. Like the poster said, they aren't cheap, but they last. You could try your local freecycle group also. What do I need to cut a hole in glass (bottle, blocks)? I want to put lights in them and use them for decoration. Can anyone tell me the tools that I would need for this? Or if there is a web site that I could go to for help. Thanks. My daughter and I are currently working on these. Get a 1/2" glass drill bit, they are shaped like an arrowhead at the tip. When drilling, drill slow and try to keep the drill bit wet so it doesn't get too hot. A drill press works best to hold the block still while drilling but we had a friend drill ours. Make sure you rinse the glass bits out right away after drilling, let dry overnight, fill with 50 count or less lights & decorate. fill with 50 count lights or less & decorate. I drill a lot of glass blocks and glass bottles, but I changed from the old carbide glass drill bits to a diamond drill bit. Since then, I have never broken any glass. A good diamond drill bit makes a huge difference. Get a diamond hole drill bit - sorta looks like a thimble. Use 3/4" as it is much easier to put the lights in. I use a drill press with the speed set around 1100 RPM (my press allows you to easily move the drive belt to raise/lower speed) Use a spray bottle with water only to keep the bit cool, and bear down with light to medium pressure. This process takes less than 30 seconds per block. These hole drills create a smooth hole that will not cut your fingers. I then vigorously shake the block to knock off the glass edges of the glass piece that is inside the block. I then fill half-way with water, plug the hole and shake vigorously, then pour out. This brings out all glass bits and usually the glass plug - though who cares if it remains inside? You can't see it nor does it harm anything. I set it aside to drain/dry and the block is clean. As to the lights - I use 50 or 70 lights, whatever is cheapest, with white cords. Cut off the end plug and tape the ends with scotch tape or white tape. It won't short out, and can't harm anyone/anything inside the glass block. I drill these blocks a case at a time, and I'm done with everything, including rinsing, in 15 minutes total. We drilled a case of glass blocks and the rinse out process didn't work, there is still residue left inside. How do we get the cloudy residue out? Crushed ice and salt swirled around the inside and then rinsed out. You can also use crushed ice and broken up egg shells. Polident tabs or any other denture cleaning tabs that fizz and foam when you drop them in warm water are supposed to clean the old mineral buildup in vases ought to work for that. It's the same principle. Try dropping a few of those inot your glass block After adding some warm water. Good luck! I hope this helps. I bought an incense burner that is a jar and I would like to put a small hole close to the bottom for the scent to come out instead of having the incense coming out the top and having ashes everywhere. Any ideas on how to do this without breaking the glass? They make a special drill bit just for glass and tile. You must drill at a low speed and keep the glass coll by misting with water while drilling. The drill can be bought at any hardware store...and they come in many sizes. try this one its a technique used on aquaruiums buy a diamond drill bit because diamond is like the hardest and they're thirty bucks. 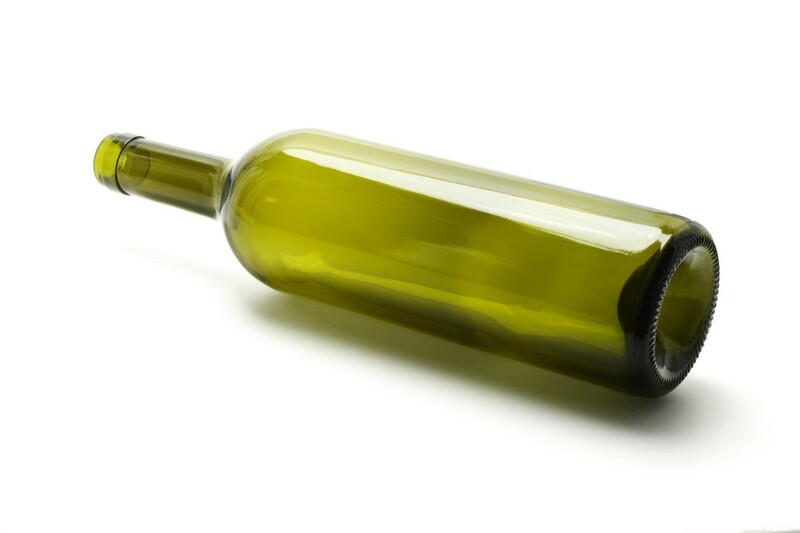 How can I prevent glass shards from falling into a wine bottle, which is creating scratches in the bottle? I am looking to find the best way to drill a hole in glass. I have used the Dremel rotary tool, and also a drill press. Both of these work, but it takes so long just to make one hole. It is very time consuming. I would be grateful for any info. Having a diamond tipped bit helps. Also if you want one to last longer, sintered (sp?) is the way to go. I am wanting to drill a hole in the old glass insulators to make a pendant light. What is the best bit to use and size if anyone knows? How do you get the hole started with the glass hole drill bit? 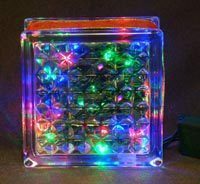 When making the lighted glass blocks, are the diamond bits round like a hole saw? Can a 3/4 size work? We have made some but have used a bit shaped like an arrow head.